Home Generators for Elgin Area Homes – Call Penco Electric Today! How long would your family last without power if you lost all electricity to your home today? With more and more incidences of severe storms in our area and the very real possibility that a tree or ice could fell power lines, your answer might be ‘not very long’. Many people hope that the power company will restore power within a few hours, but what about if it is days or weeks? How would your family and your lifestyle fare? How much food would you lose in your refrigerator and freezer? How would you work from home, or how would your kids get their homework done? Do you have a loved one at home that has a respiratory device that requires power 24/7? Does a family member need air conditioning to keep their asthma symptoms manageable? In the middle of January, what will you do without heat? And, what happens after dark? Will your family be safe with no power and an inoperable security system? 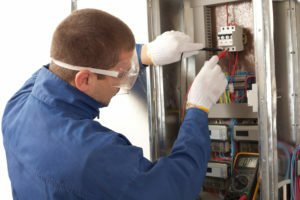 These questions should go through your mind as you consider whether adding a whole house generator is a smart decision to keep your family safe and your household running no matter what disaster comes up. A home standby generator gives you peace of mind whether you are at home, at work or on vacation when disaster strikes. It is no secret that our electrical grid is over-taxed due to an aging infrastructure. Is this the year that it will no longer be able to support all the demands placed on it? Or will it crumble during the next tornado, high wind advisory or lightning strike? Considering how much you have invested in your home and your most important responsibility to your family to keep them safe and secure, why not look into the convenience and necessity of having a whole house generator, that is, your own source of back-up power for your Elgin home? OnGuard Generators can provide you with a free assessment of your home’s power needs and advise you on the type and size of home generator that will give you the power you need, when you need it most. We sell, install and service all the major brands of generators and are located conveniently to serve the entire Elgin metro area. The safety of your family and your home is our top priority, too. 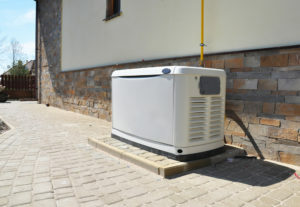 Give us a call today to learn more about how a generator can take the worry out of protecting your home and family. No matter where you are in Chicagoland, there is an OnGuard Generator office located near you. Call us for a free assessment of your standby power requirements and we can help you select the right whole house generator for your Elgin home size and budget. Choose from all the top manufacturers such as Generac, Kohler, GE, Briggs & Stratton and get expert installation. Never worry about being without power again. Call us today at (847) 423-6662 for fast, friendly service.